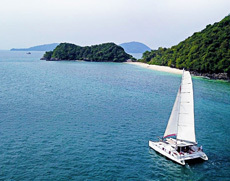 Looking for a special holiday in Phuket Thailand? 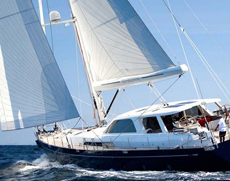 Charter your Private Sailing Yacht for day- or overnight trips. You don't need a any sailing experience. Our captains and crew are taking care of everything. And - the yachts come with a Private Chef who makes the most delicous meals you can imagine. Many different yachts in different price range and size. Please have look below. 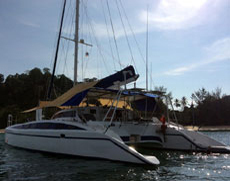 A fantastic and very spacious sailing catamaran offering great comfort. Very large indoor saloon, outside louning / dining area and four ensuite double cabins gives plenty of space and privacy for 8 guests. 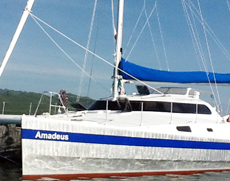 A very luxuries Sailing Catamaran - fully airconditioned with four double cabins that sleep 8 guests very comfortably. Great French interior design tastefully deorated. The Lagoon Catmarans are simply the most comfortable charter yachts. Fast and Fun, but not neglecting comfort. If you love sailing, this is your perfect boat. Even with little wind she makes good speed. Great for smaller groups. Amadeus features three en-suite double master cabins with their own bathroom, electric toilet and shower facilities and one double aft cabin with shared shower and bathroom. 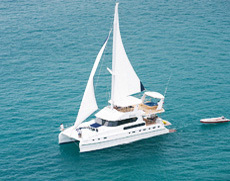 Enjoy pure luxury on this 70 ft. Catamaran. Comfortable cabins for up to 16 guests for overnight trips. For daytrips up to 60 guests. Perfect for special events like anniversaries, weddings,stag and hens parties. 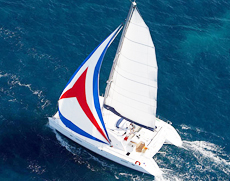 This Sailing Catamaran features 3 double cabins for guests with large powerful fans and the opening hatches providing good ventilation throughout the yacht. 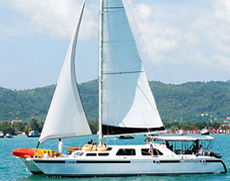 She has good sailing abilities and offers plenty of space and comfort for 6 guests. 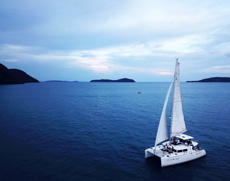 This very large catamaran offers space for up to 14 guests for overnight trips. Perfect for Family Sailing Holidays. For daytrips up to 35 guests. This 104 ft. Superyacht is new to Phuket and offers all the luxury you are expecting from a yacht this size. She accomodates up to 8 guests for overnight trips comfortably. Not a Sailing Yacht, not a Speedboat. 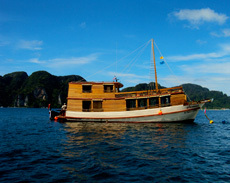 But a very Charming Motor Vessel - fantastic for Private Day Trip in Phuket with plenty of space fo 35 guests.